 Bringing four years of hands-on experience working a variety of events for Saz’s Catering, Austin Llanas now brings her industry insight to her role as Customer Service & Billing Specialist for Saz’s Catering. The experience she acquired as a catering associate has enabled her to learn the ins and outs of the industry, manage a variety of demanding tasks and provide excellent customer service to our guests. In her current role, these skills are tantamount to better understand the wants, needs and expectations of our clients. Growing up near the Walker’s Point neighborhood where our Catering headquarters reside, Austin developed a deep appreciation for this vibrant and strong local community that is a reflection of what Milwaukee truly represents. The city, itself, provides the perfect backdrop for all of her interests, like hiking, meeting new people, enjoying great food and going to local concerts. She appreciates and admires the unique local aesthetic Milwaukee affords and enjoys exploring its diverse neighborhoods and discovering its hidden gems. Her love for local culture, her city and her strong relationship with her co-workers are just a few of the reasons she retains such a strong connection to the Saz’s family. Ask Austin what attracted her to this new role and she’ll tell you it’s her passion for the hospitality industry and her desire to learn new facets of an ever-changing and growing business.